Welcome back to Shadespire! The new season will once again feature new warbands that will fight fierce battles in the streets of the Mirrored City. This time, strength and weapons alone won't be enough when the warrior-mages of the Stormcast Eternals meet the undead warriors of the Briar Queen. The new repertoire of your fighters now includes magical elements. 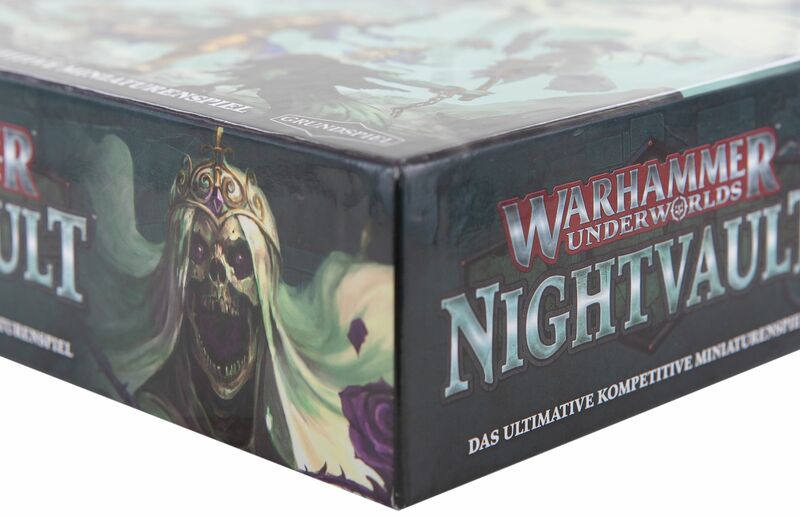 The mat fits exactly into the 'Warhammer Underworlds: Nightvault' box. 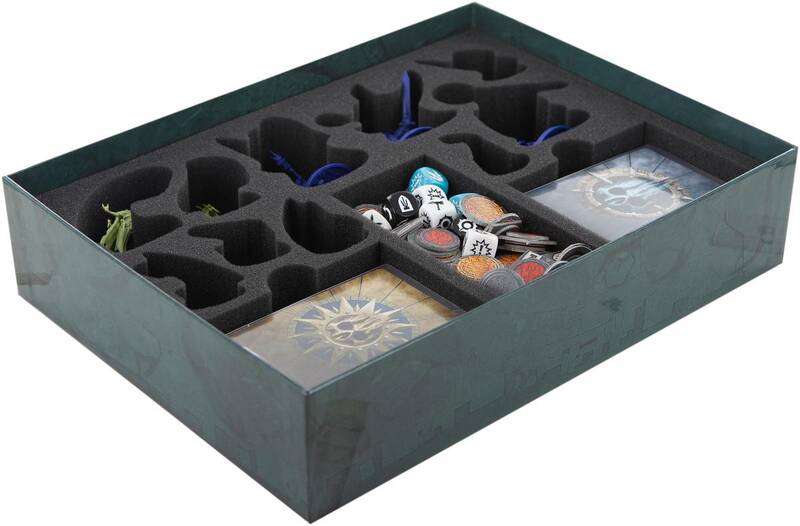 With a total of 15 compartments it ensures overview and safety for figures, cards, dice and tokens. The separate storage of the figures does not only have tactical reasons. From now on you can simply put the box in your bag without having to worry about the figures. They won't slip around, collide with each other and sensitive parts will stay unharmed. Flaked or scratched acrylic paints are also a thing of the past. 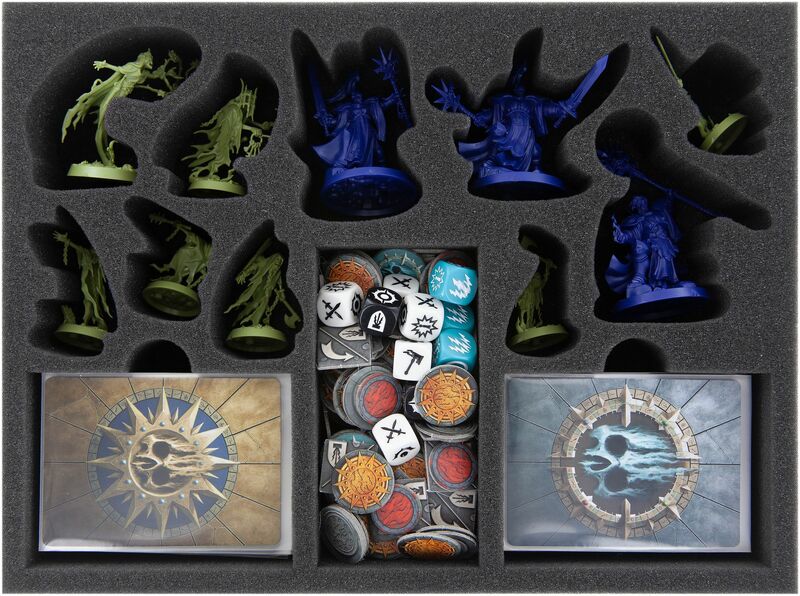 This way everything is neatly and securely stowed away and you are always ready for the next skirmish between the ghostly warriors of the Nighthaunt and Sigmar's Stormcast Eternals.